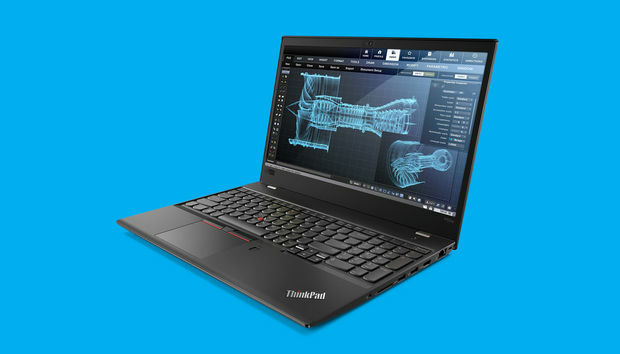 The ThinkPad P52s laptop and ThinkStation P520c desktop workstation offer the latest Intel chips and Nvidia graphics inside sleek chassis, but the 'classic' IBM ThinkPad design prevails. Lenovo is no longer associated entirely with the accountancy aesthetics of the ThinkPad range that it acquired from IBM back in 2005. Its Yoga range has some truly beautiful examples of industrial design such as the Yoga Book. But the company's professional laptop range kicks it boringly old school - even when debuting innovating design elements such as the 360-degree hinge and integrated pen slot of last year's ThinkPad P40 Yoga laptop/tablet hybrid. The latest laptop from Lenovo doesn't want to be anything more than a laptop but neither does it want to look anything more that what I see on the laptops of countless pinstriped finance types on the train to and from London every day. What it is, however, is Lenovo's thinnest and lightest quad-core mobile workstation to date - and boasts a powerful set of specs. It features a choice of 8th Gen Intel Core i5 and i7 processors, and up to 32GB of RAM. There's Nvidia P500 graphics and either 1TB PCIe NVMe SSD storage or a 2TB HDD. Lenovo has also launched two new desktops: the ThinkStation 520 and 520c. Both are based around Intel's new W-Series Xeon processors. These are for single-chip workstations and offer both high-clock speeds (up to 4.5GHz) and number of processing cores (up to 18). The Xeon W-2155 would seem to be the most appealing for CG, VFX, video and animation work - offering 10 cores with a clock speed to 3.3GHz that can be 'Turbo Boosted' to 4.5GHz. The ThinkStation 520 is the larger of the two, supporting up to 256GB of DDR4/2.666GHz RAM and eight storage drives. You can fit two graphics cards into its chassis - even two Nvidia Quadro P6000 cards if you've got the budget/need. The c in the ThinkStation 520c stands for 'compact'. It's 30 per cent smaller than its big sister, but can still fit up 128GB of RAM, six drives and a dual-height graphics card (topping out at the P5000 as there's not enough power for the P6000). All three products should be shipping early in 2018.